Camino de Santiago 2013: Day Thirty: Astorga to Rabanal del Camino. April 11, 2013. 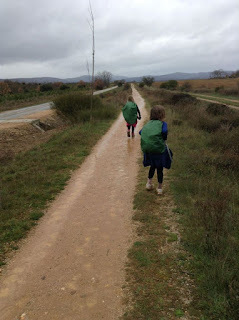 Day Thirty: Astorga to Rabanal del Camino. April 11, 2013. Distance: 13.3 miles (21.4 kilometers) with around 1300 ft elevation gain (400 meters). Today was an excellent day for hypothermia. I feel quite sorry for pilgrims who insisted on wearing cotton. It started out normally enough. Overcast skies, slight wind...we had an easy time of it leaving Astorga. Soon after leaving El Ganzo, the light drizzle turned into bona fide freezing rain. It poured...the wind picked up...it poured sideways...the girls and I had on our waterproof jackets but not our waterproof pants...I had allowed all of us to hike in the drizzle without protection a hour earlier since we had felt hot...so now we were in danger of developing hypothermia if we didn't keep moving....we had our jackets on but our clothes were wet underneath. If worst came to worst, we could have ducked into the trees (there were actually trees!) and changed into dry clothes under protection of the leaves and our pack protectors, but I thought we'd be okay if we kept moving. 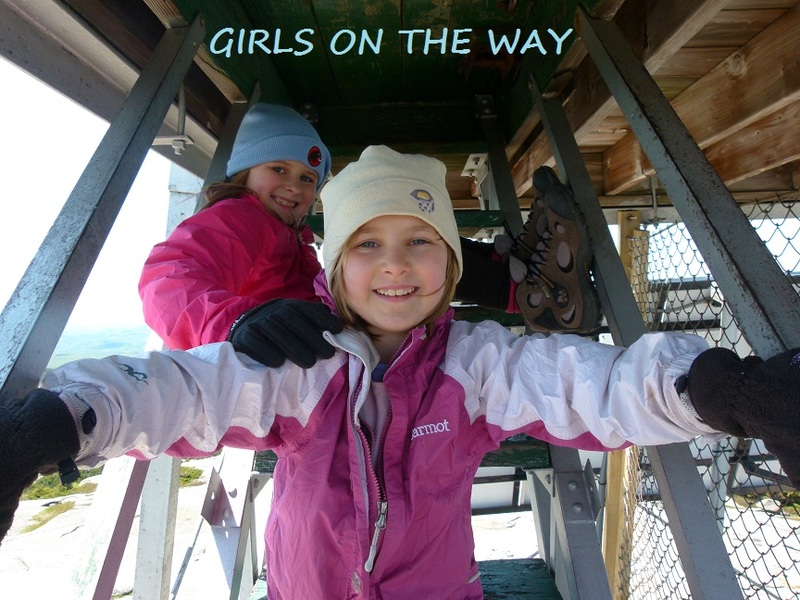 The girls said they did not feel cold and they were behaving normally. We therefore carried on, quickly, keeping our heads down and battling through the ice cold, pouring rain. The trail changed from road to rocky path, through some lovely but thoroughly wet trees...I didn't take photos since I was afraid of killing the iPad...we climbed up...and Alex got too quiet for my liking. To ensure everyone was doing well, I led us all in a few rounds of "Down By the Bay." That's a kid's song where people have to create their own verses. The kids like it and it's an excellent way to see if everyone is able to think straight (one of the early signs of hypothermia is confusion). Sage jumped in with a bunch of silly verses...she was doing well...Alex took a bit longer than normal to come up with her verses so I was a bit worried about her...but then Rabanal del Camino popped up before our eyes and we strode into town and straight into a bar. We're staying at the albergue Gaucelmo. The hospitaleros are Keith and Claire; they're members of the London-based Confraternity of St. James. They are so sweet - they opened the beautiful albergue early today and they encouraged us to dry off and warm up before attending to business. The albergue is donativo and it is gorgeous - there's a balcony that overlooks the mountains, there's a garden, a salon with a fireplace, a kitchen, and nicely warmed sleeping area. The donativo price includes breakfast in the morning and tea at 4:30. What a lovely, warm welcome after a challenging day! We reach Cruz de Ferro tomorrow morning. By tomorrow evening, we should be in Riego de Ambros or Molinaseca. What a pity you'll have left Keith and Claire by the time you see this - or I'd have asked you to say HI from the KiwiFamily! They were our faves and the children still talk about "the man who made people laugh". Have you noticed any availability of gluten free food or heard from people you may meet about it? Thanks for responding about the nalgene "coolers". I never would have guessed it. I live near the Rockies in BC and it is interesting how the weather there is so similar to what we are getting here. Terry, it was a pleasure meeting you and we hope you had an excellent time on the Camino while you were here! Thank you for your kind compliments. Anonymous - I think you'd have to do your own grocery shopping. The Spanish food is all about meat, pasta, and bread. Haven't met any gluten-free folks and I've only seen only one vegetarian (who was buying all his own food). Most albergues have kitchen, so you could get what you need at the supermarcados and then prepare your meals yourself.